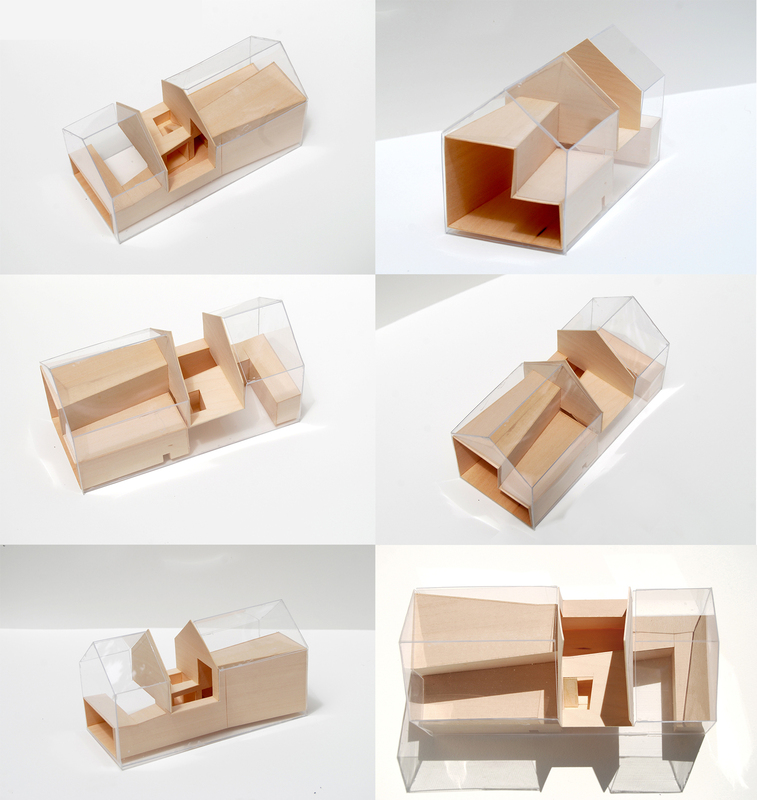 The Inside-Out house takes the simple vernacular form of a gabled, shed-roofed, shingle clad structure and inserts within it the figural volume of the primary public interior spaces. 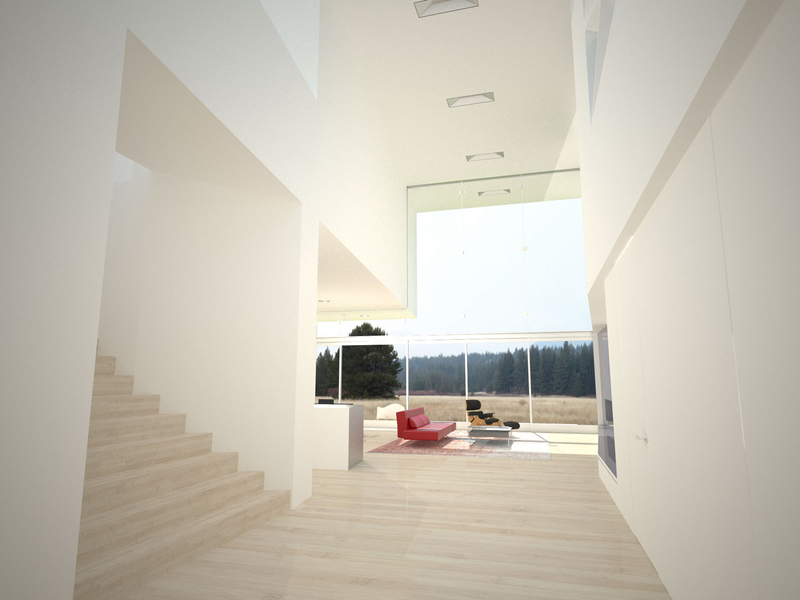 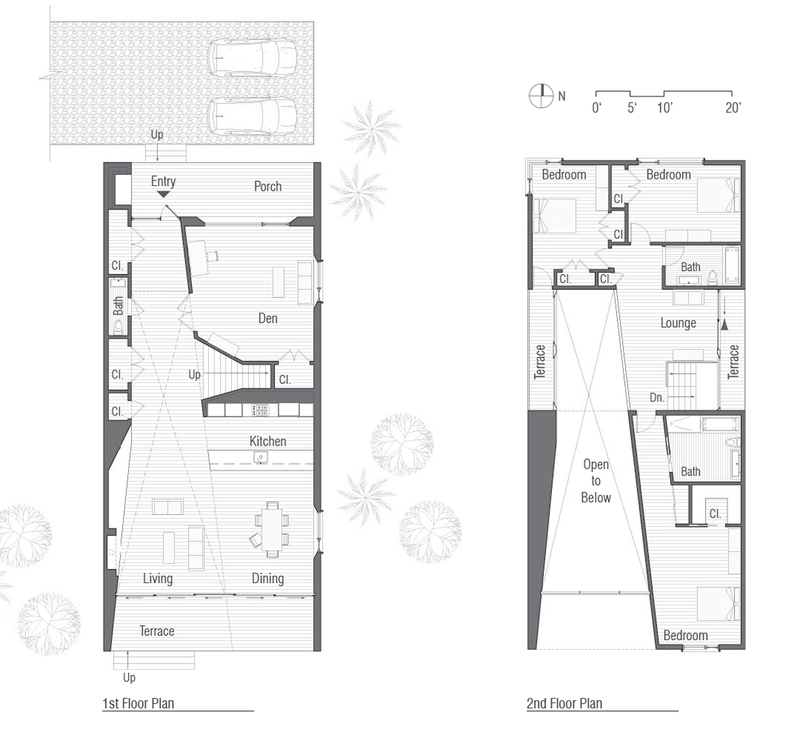 This volume takes shape as a minimalist ‘white box’ that incorporates the living/dining room, kitchen, entry hall, and upper level hall, and continues those spaces to the exterior to create the entry porch on the north facade and the terrace to the south. 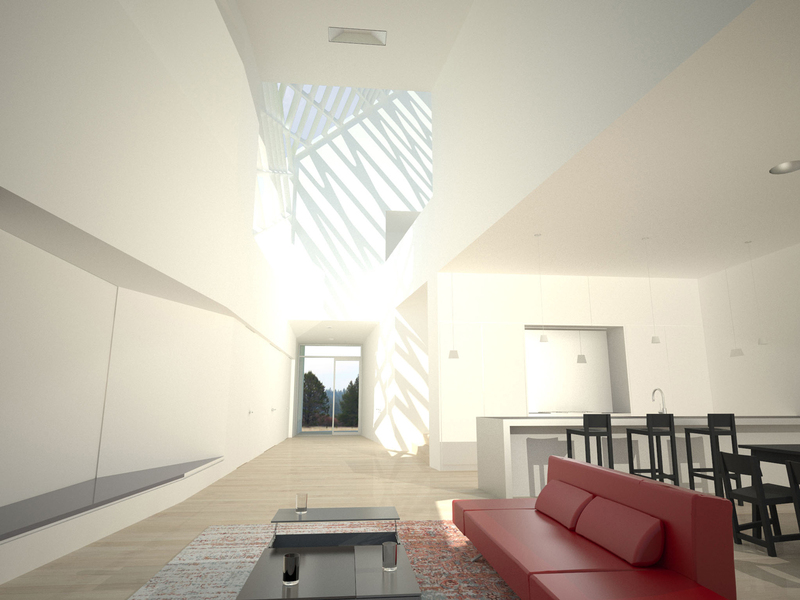 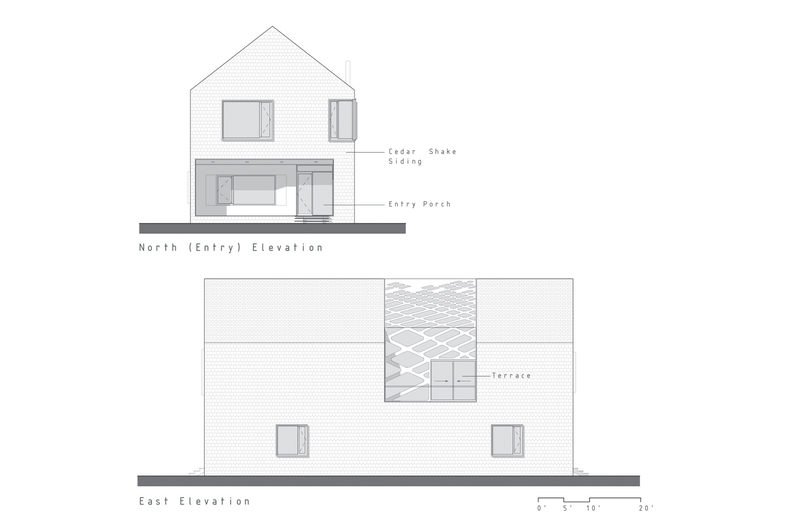 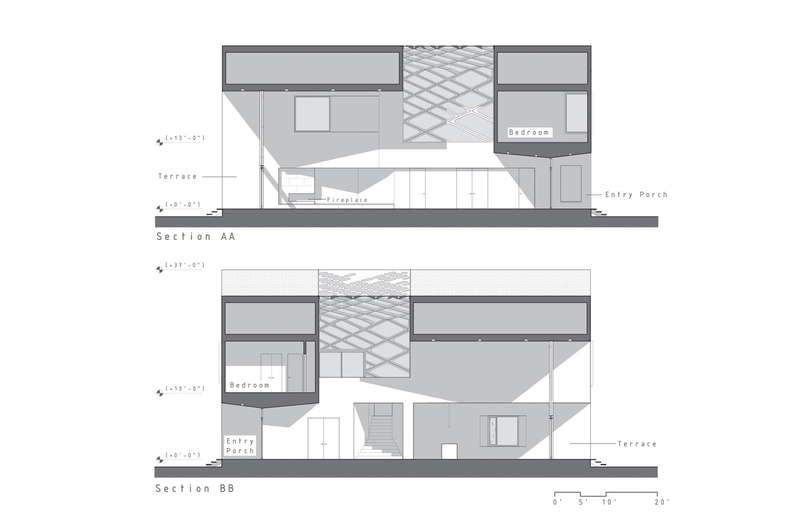 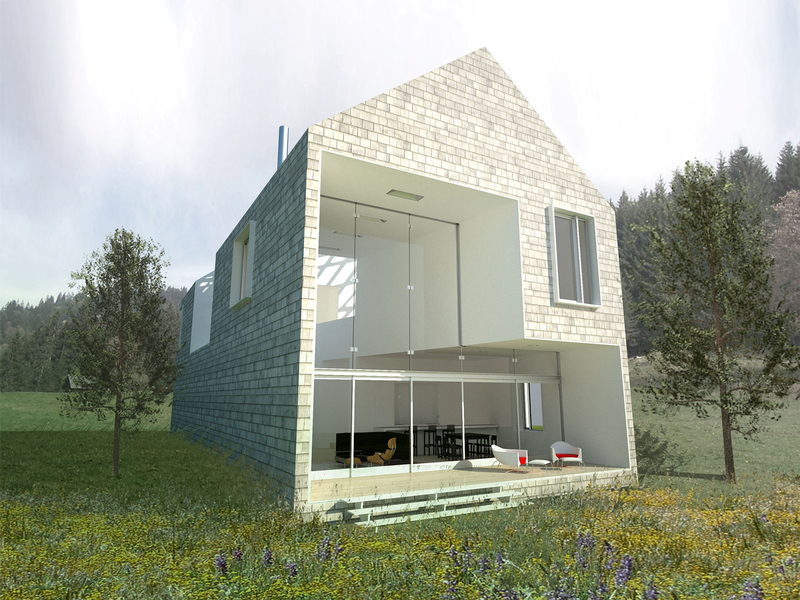 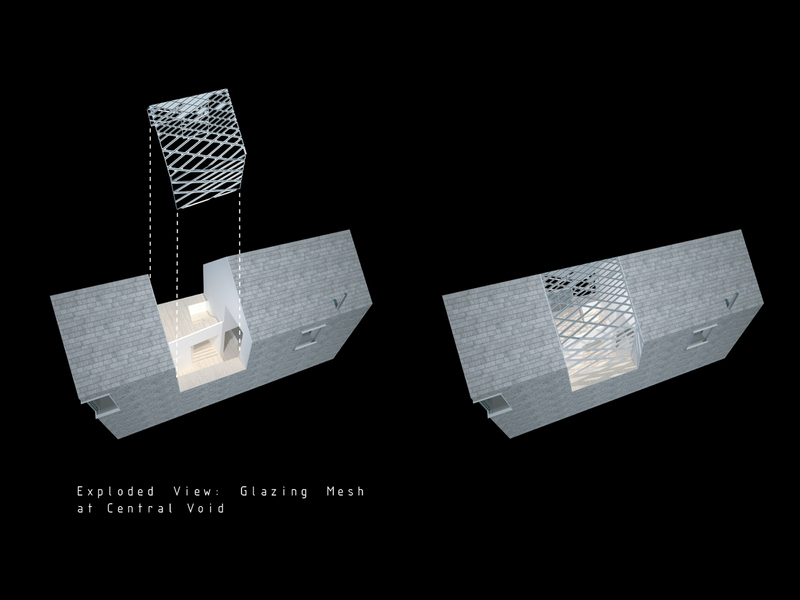 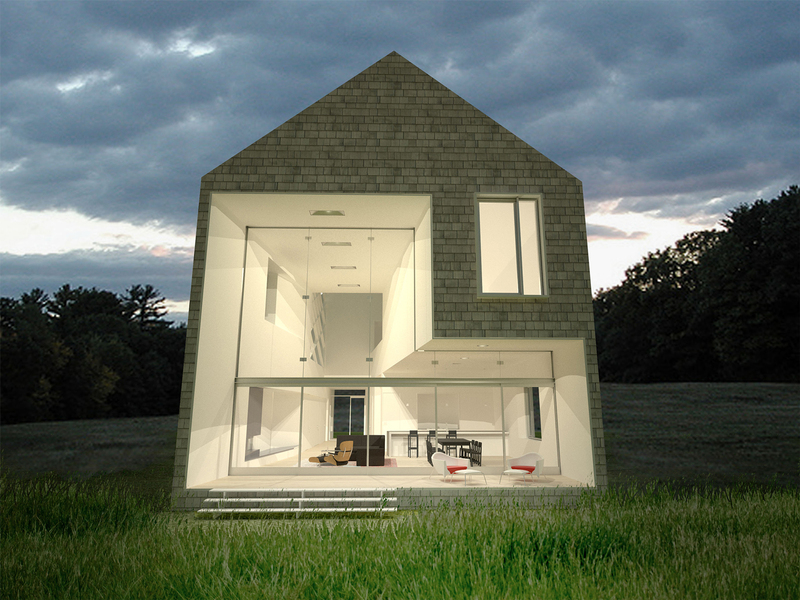 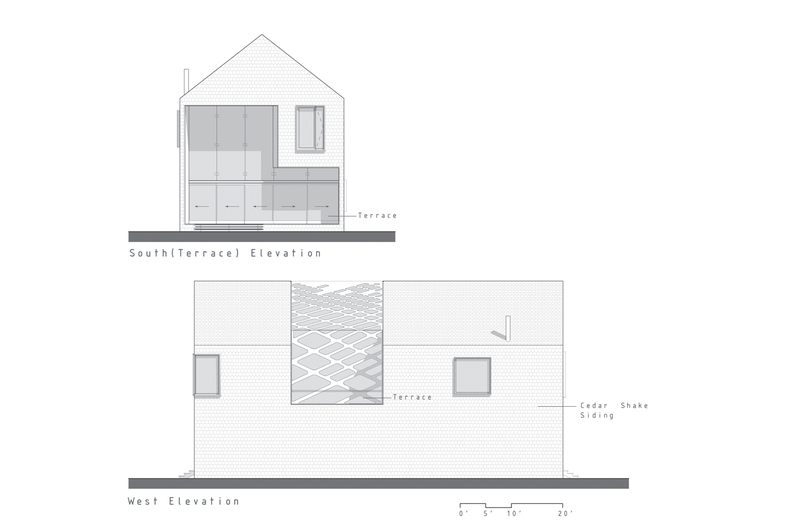 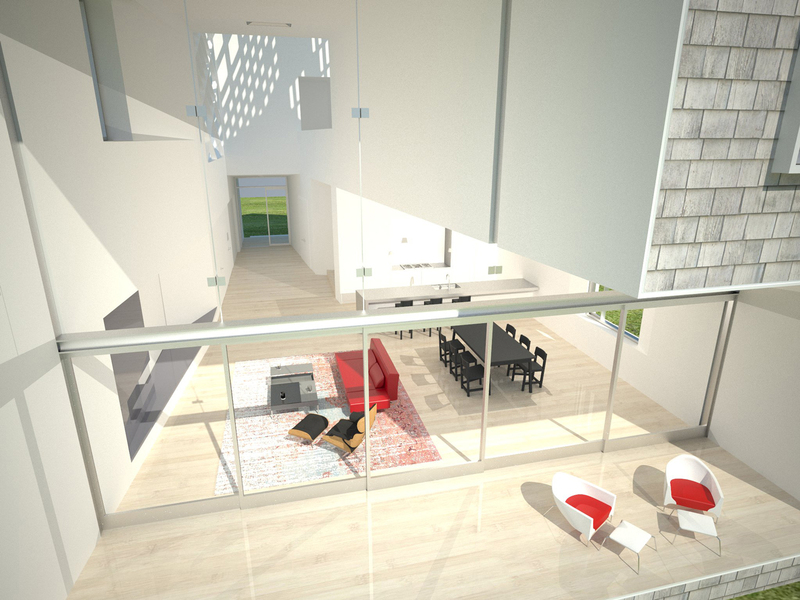 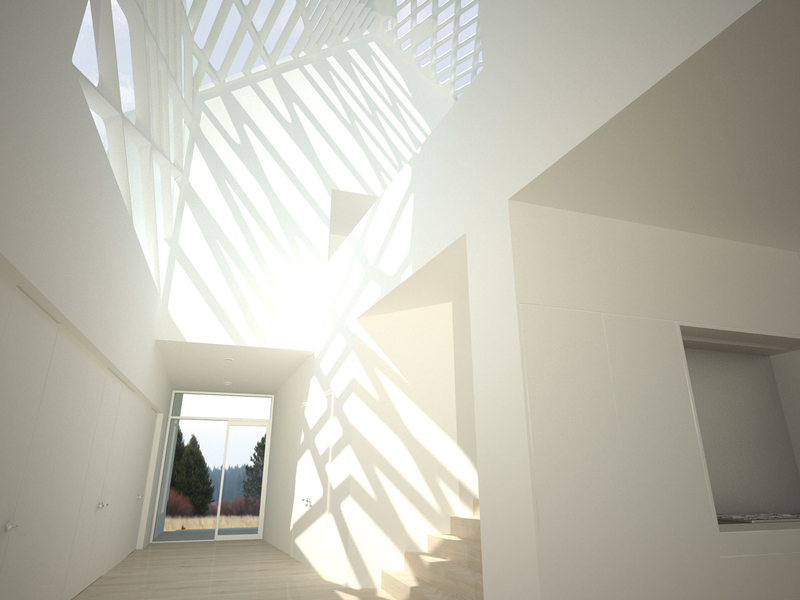 At the center of the house is a double height space that connects the two levels with a vertical slice in the gable roof that is infilled with a glazed mesh structure creating a dramatic play of light and shadow at the center of the house. 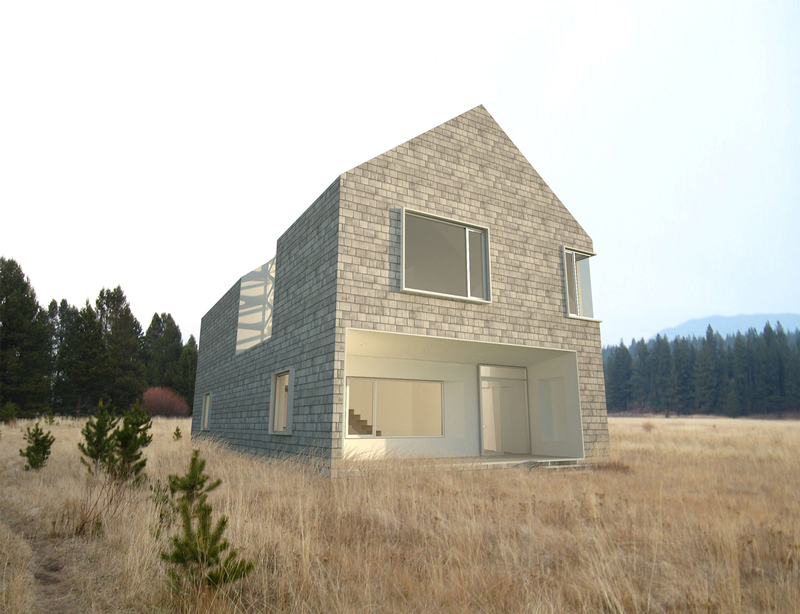 3300 gross square feet; two stories; three bedrooms.